Uses many different forms of poetry. Short, concise but humorous content. Could inspire reluctant writers and performers. Great for any primary school classroom. The opportunity to explore and play with language is one of the many reasons that people fall under the spell of poetry’s power. There are just so many forms of poetry: a haiku, shape poetry, sonnets, limericks….and so on, so the possibility of sharing works of poetry with children can open up a wonderous, brave and exploratory world, that allows different rules for creative writing, which are not necessarily allowed in everyday prose. 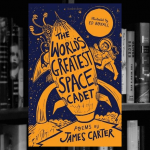 Do not assume that the title, “The World’s Greatest Space Cadet” means that all the poems in this short book are all about space. They’re not! The poem, “How to turn your teacher purple” is a perfect example of the humour, creativity and word-wizardry developed by James Carter. To me, this is what teaching poetry should be about in primary schools; pushing boundaries of language conventions as well as using humour to capture attention. 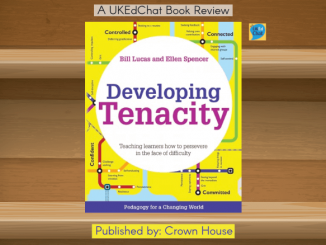 The mix of poems throughout the book are fantastic in exploring different forms of poetry, inspiring pupils to create their own versions which can be very rewarding and less overwhelming than other forms of writing. 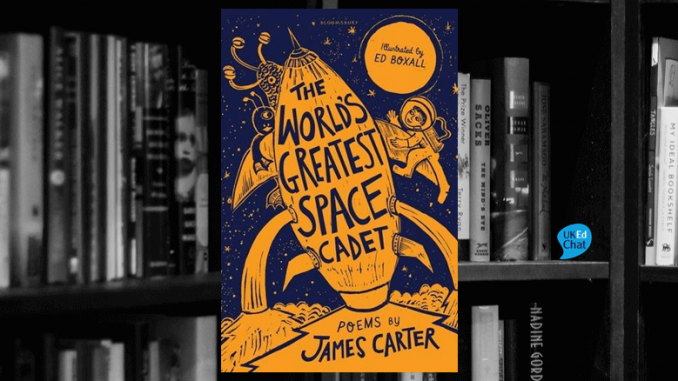 With fantastic illustrations by Ed Boxall, this super little poetry book would sit perfectly in any primary school classroom, and encourage all teachers to add this book to your collection, so you can share the humour and structures of James Carter’s poetry with all your pupils. 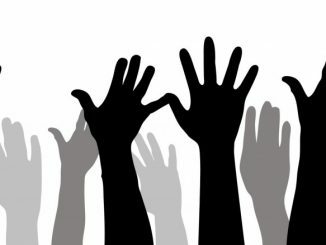 Via @BloggingAP: Hands up if you think this is just good practice (or not)! WOW! 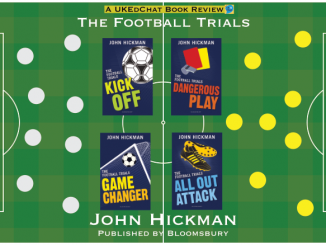 My brand new book’s first review, and I couldn’t have asked for more. Thank you soooo much for your very kind words. Much appreciated. Fab website, btw!